It's been a while since we received an album proper from jazzy pop quartet the Sea and Cake. Aside from a split seven-inch with Broken Social Scene that was released last fall, the last thing we got from the group was 2008's wonderfully pepped-up Car Alarm. Thankfully, the long-running troupe are back with The Moonlight Butterfly. According to a press release, the six-song mini-album deviates from the Sea and Cake template, "exploring new textures, extended structures, and different instrumentation." Like most of their output, the allegedly playful and experimental The Moonlight Butterfly was recorded by drummer John McEntire. Perhaps inspired by vocalist Sam Prekop's recent ambient synth album Old Punch Card, the new record is said to contain a number of extended instrumental passages. The press release point to "Inn Keeping" in particular as a tune that focuses on synths more than it does singing. Longtime fans will remember that their 1997 album The Fawn had a huge synth bent to it, as well as recent singles like "Weekend," but it sounds as if this time they're going whole hog. 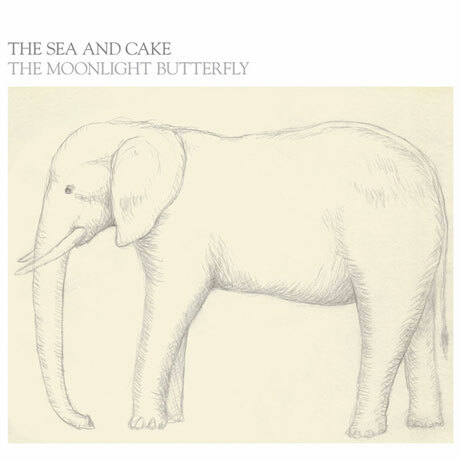 The Moonlight Butterfly will be released May 10 on Thrill Jockey, with a new full-length to come sometime in the fall. 4. "Up on the North Shore"
The Sea and Cake "On and On"